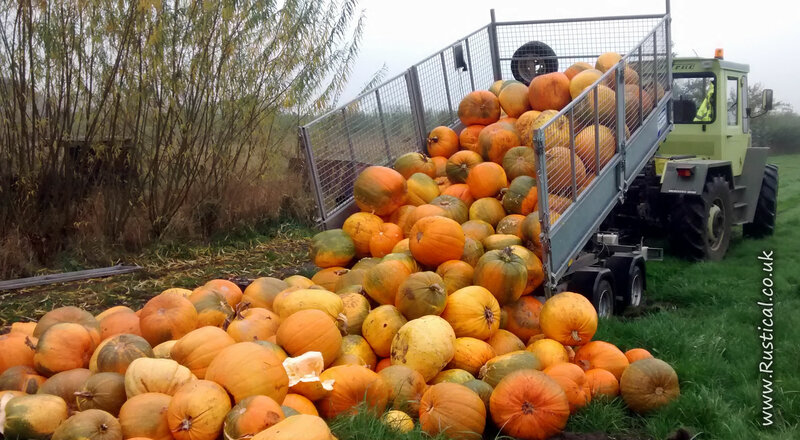 Well that’s the pumpkins done for another year. It is always a bit sad removing all the unsold pumpkins but it needs to be done and it is nice to get the space back in the yard. Unlike the pumpkins, the unsold winter squashes will ‘keep’ and provide us with some welcome vegetables throughout the coming winter months and provide the seeds for next year’s crop of the heritage varieties. Just like the pumpkin patch fields, I will also need to tidy up the Big Pumpkins website and prepare it for the next season. At least you don’t get wet and cold doing the website. The orders for wreath making supplies and freshly made Christmas wreaths are ramping up fast now and will peak during November. No rest for the wicked!